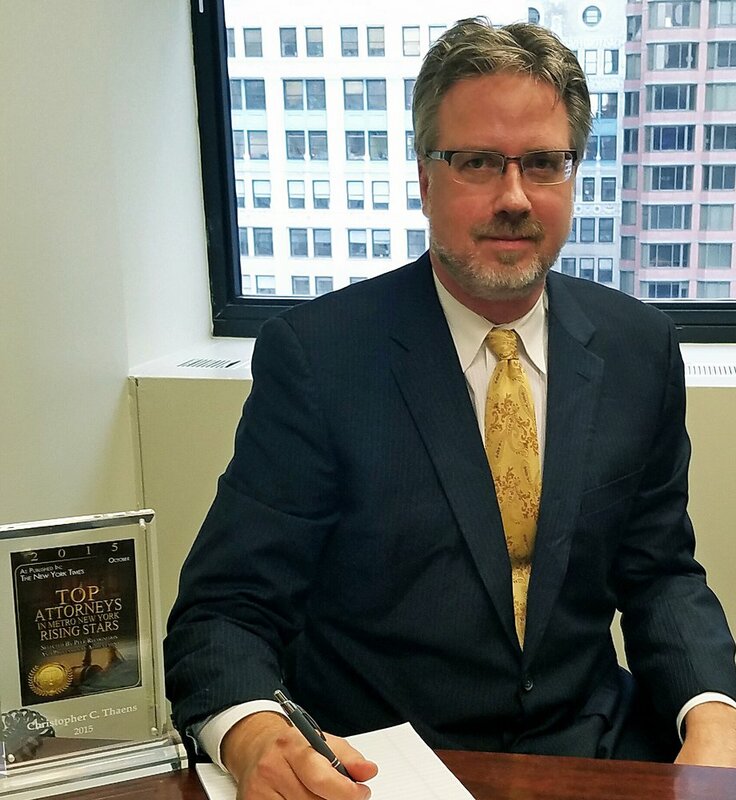 Chris Thaens is a personal injury and litigation lawyer serving Manhattan, Brooklyn, Bronx, Queens, and the surrounding areas. He handles injuries and accidents of all types, including workplace accidents, construction injuries, motor vehicle, trip and fall, slip and fall, construction accidents, medical malpractice, and nursing home negligence. Se habla Español. A serious injury can impact all aspects of your life. Chris takes pride in providing injured clients with the attention they need and the information they seek regarding their accident. Chris has represented personal injury and medical malpractice victims for many years, recovering over a million dollars for his clients. He has the skill and experience to recover a monetary award for the pain and hardships you and your family face now, and what you may face in the future. Chris will fight for your case and give you the attention you deserve, while you and your family concentrate on recovering. Chris never charges a fee unless he successfully achieves a recovery. If you or a loved one have been hurt due to the actions of someone else, the time to start exploring your legal options is now. 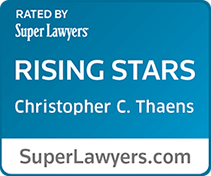 Mr. Thaens has represented many businesses and individuals in New York City Criminal Court regarding Fire Violations which are related to Department of Buildings (DOB) violation codes. 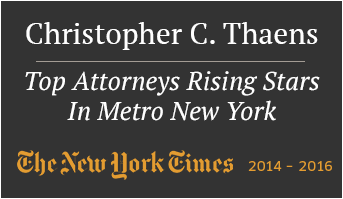 Contact Chris Thaens for a free consultation today. Chris provides English and Spanish-speaking services for your convenience. © Law Offices of Christopher C. Thaens, PC. All rights reserved.